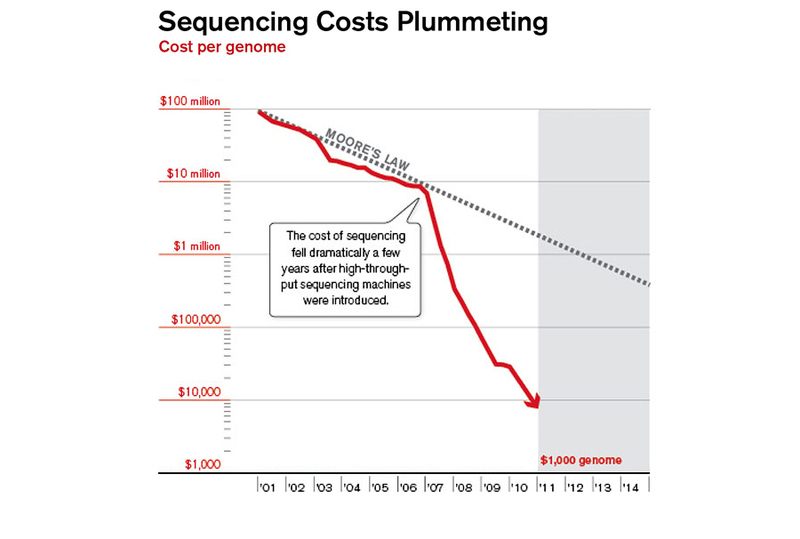 The cost of sequencing human genomes is plunging—in the most advanced genomics centers, it’s falling five times faster than the cost of computing. Increasingly, people are getting their DNA sequenced by companies and research labs in a search for clues about genetic variation and disease. 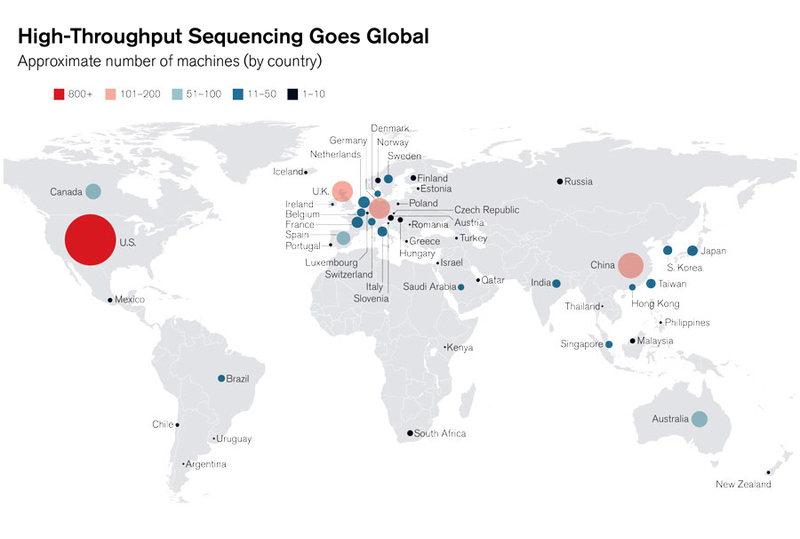 The map is based on data from a user-generated database of publicly available statistics, representing 60 to 70 percent of all machines; it excludes biotech and pharmaceutical companies and some sequencing service providers. But the industry must figure out how to cheaply store all the resulting data. Each of the 3.2 billion DNA base pairs in a human genome can be encoded by two bits—800 megabytes for the entire genome. 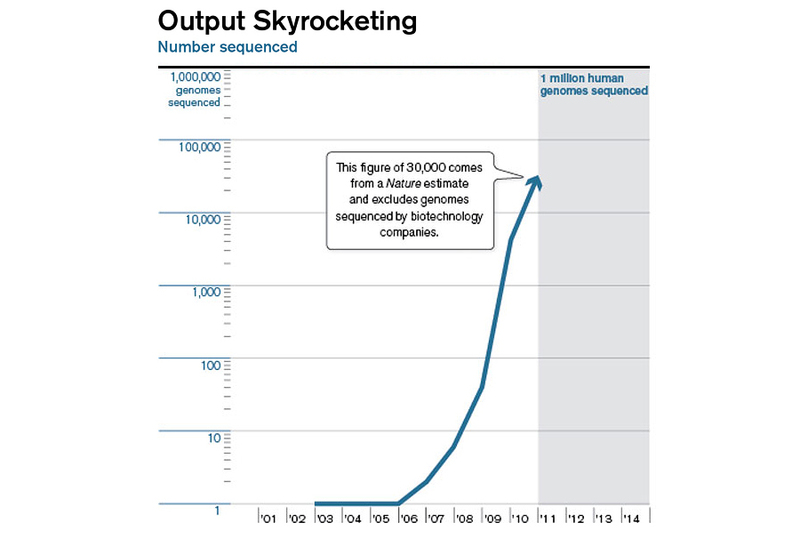 But considerable data about each base is usually collected, and genes are often sequenced many times to ensure accuracy, so it’s common to save around 100 gigabytes when sequencing a human genome with a machine made by industry leader Illumina. 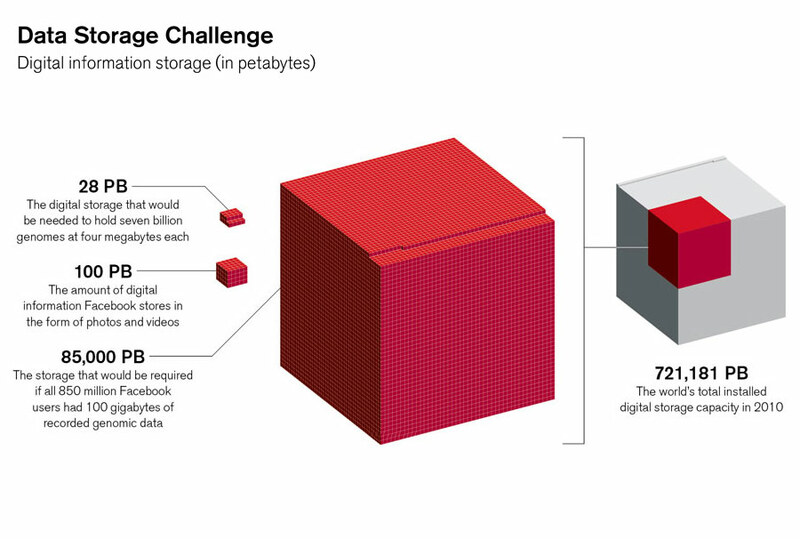 Keeping this much data about every person on the planet would require about as much digital storage as was available in the whole world in 2010.